1. How to convert videos to iPhone 4S/ iPod/ iPad? 2. How to convert videos to Android devices including Samsung Galaxy, Motorola Xoom, HTC android phones etc.? 3. How to convert video to html5 embed video formats (OGV, Webm, MP4)? 4. How to rip DVD movies to Android devices? 5. How to extract audio track from videos? 6. 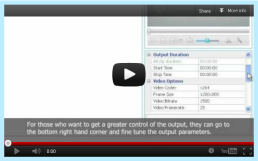 How to download Youtube videos and convert Youtube videos to other video formats? 7. How to convert videos to Sony PSP/PS3? 8. How to merge several videos into one ? 1. 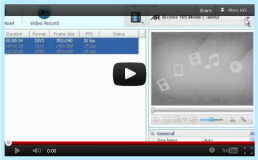 How to convert videos to iPhone 4S/ iPod/ iPad? 2. How to Convert and Upload Videos to YouTube on Mac? 3. How to Download and Convert YouTube Video to iPad, iPad 2 on Mac OS? 4. How to Merge and Convert Video Files on Mac? 5. How to Rip DVD to iPhone 4S/iPad on Mac? 6. 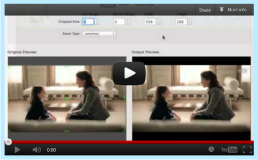 How to Download Different Web Videos on Mac? 7. How to Register with Any Video Converter Ultimate for Mac?